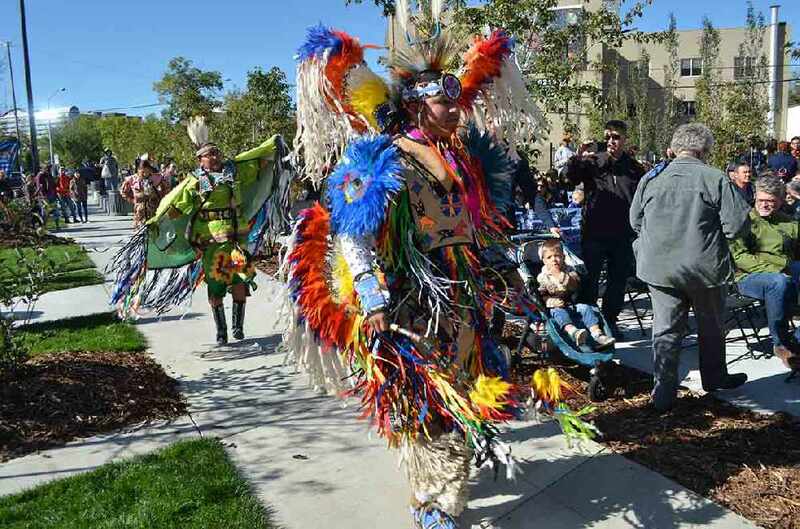 Alex Decouteau Park was dedicated on Sept. 16. 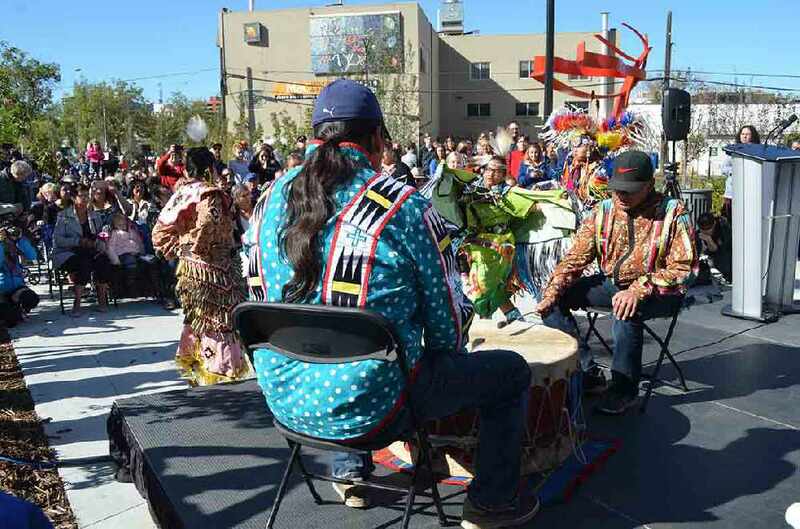 Located at 105 Street and 102 Avenue, it is downtown Edmonton’s first new green space in more than 30 years. 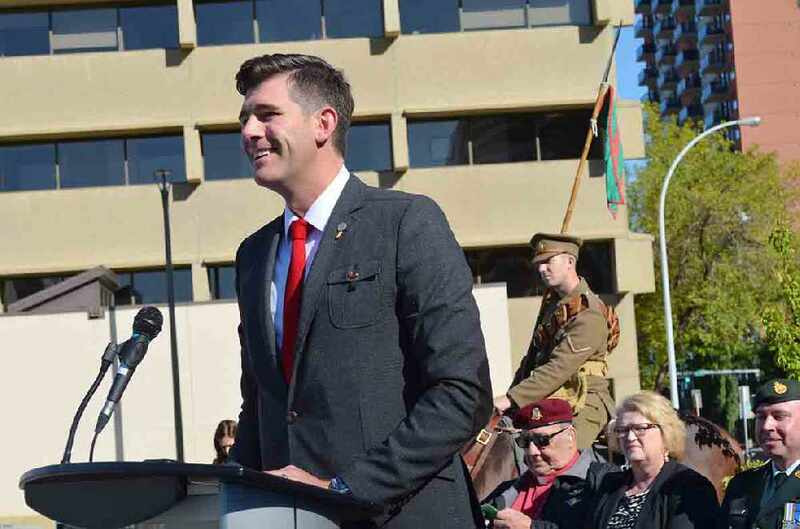 “This will be a special place… This is everybody’s downtown and everyone is welcome here,” said Mayor Don Iveson at the dedication, when commenting about the revitalization of the city’s downtown. Mayor Iveson also expressed that the park will contribute to reconciliation. Decouteau was also a celebrated athlete. As a runner, he entered every important race in Alberta between 1909 and 1916, winning most of them. 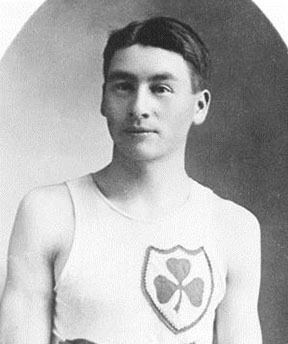 At the Olympic Games in Stockholm, Sweden in 1912, Decouteau was the only Albertan representative on the Canadian team, competing in the 5,000 metres and finishing sixth. 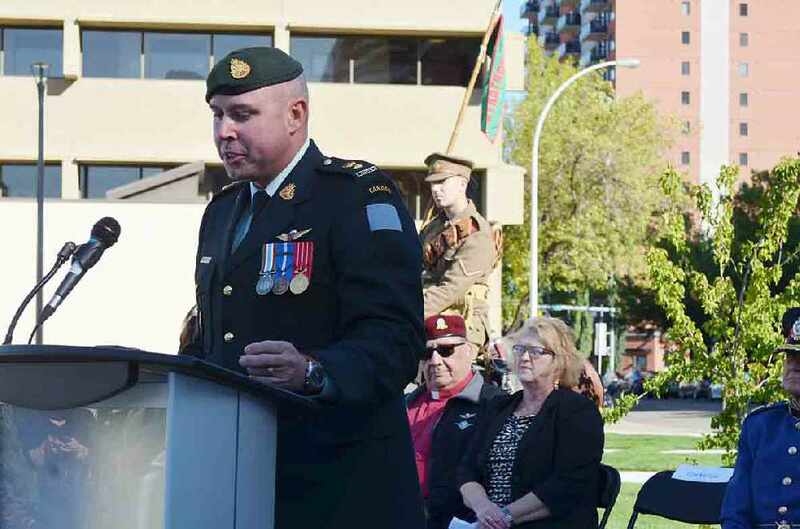 His athletic accomplishments led him to be entered in the Edmonton Sports Hall of Fame, Alberta Sports Hall of Fame, and Canada’s Sports Hall of Fame, the highest honour an athlete can receive in Canada. 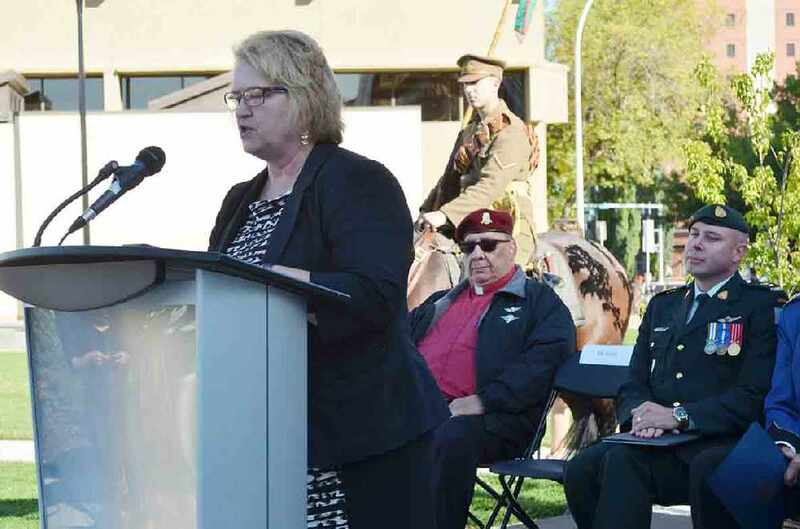 Janice Smith, the director of Exhibits and Programming at Canada’s Sports Hall of Fame was at the dedication. 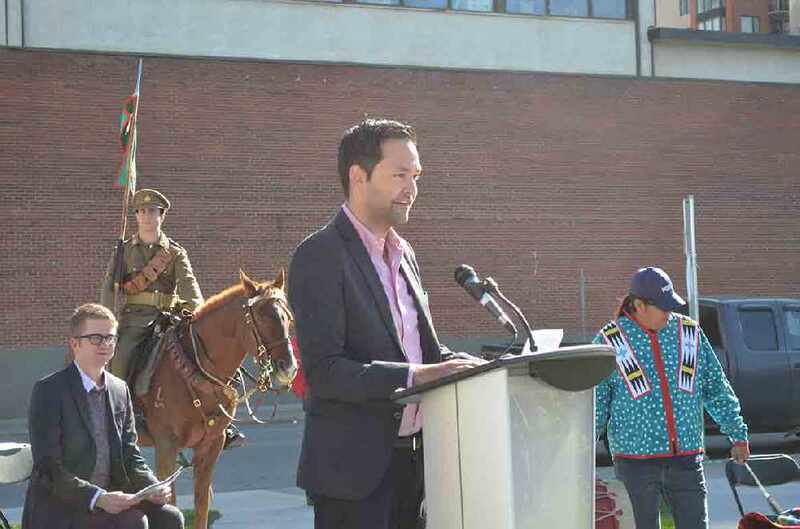 While continuing his running, Decouteau joined the 202nd Sportsman’s Battalion in 1916 during World War I, serving on the front lines. He was killed in the line of duty during the battle of Passchendaele on Oct. 30, 1917. LCol. 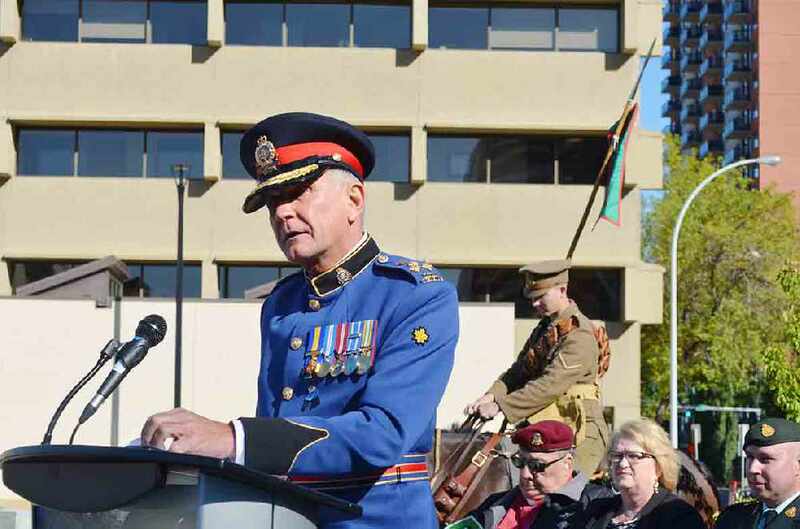 Jon McCully, commanding officer of the Loyal Edmonton Regiment, spoke of Decouteau’s service. 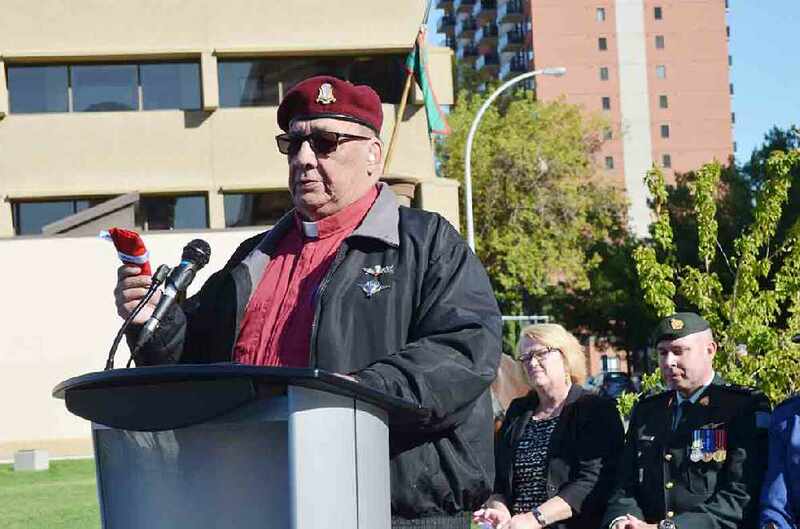 Elder Cliff Pompana, who gave the opening blessing, said that Alex Decouteau was an example of an Indigenous man who overcame stereotypes and was able to rise above circumstances that often affect Indigenous people in negative ways. 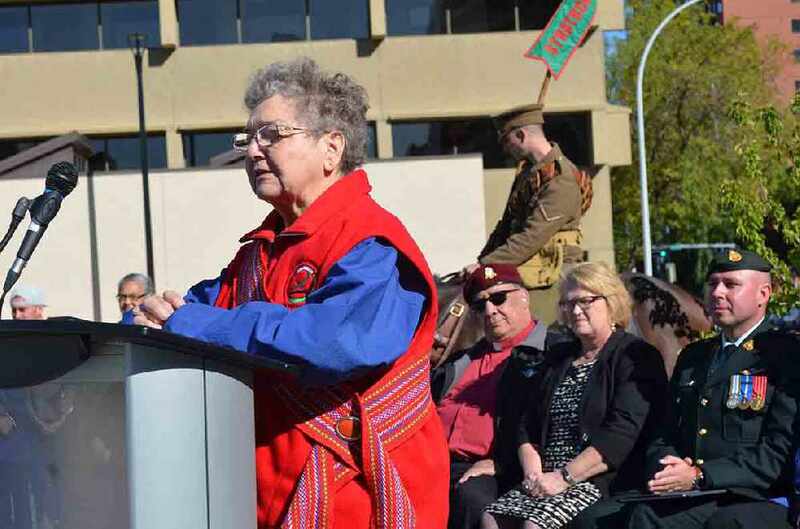 “How many Natives are recognized in this, or any province? Very few,” he said. “Here is a Native person who has done something for himself and he has risen above,” he said of the importance of Decouteau being recognized and celebrated. 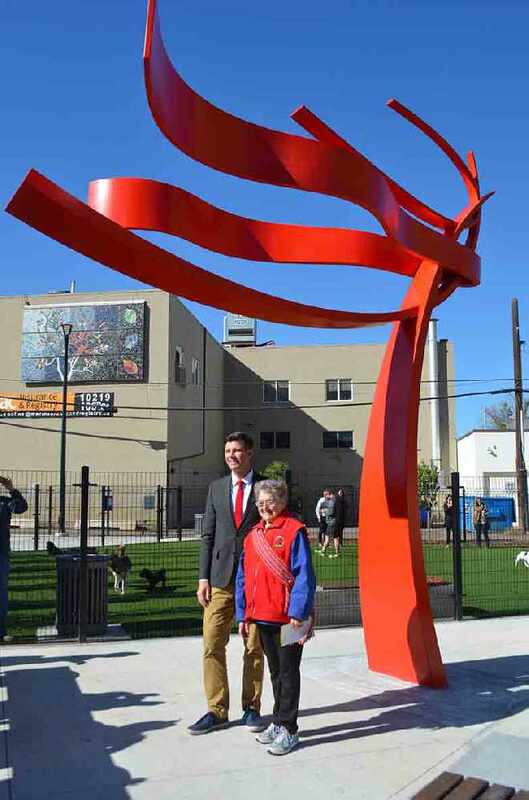 A highlight of the dedication was the unveiling of Esprit, a 16-foot sculpture created by Toronto-based artist Pierre Poussin, who was in attendance, to honor and celebrate Decouteau’s legacy. The park also features a community garden, ground-level water sprays, and a fenced off-leash dog area.